Neo Synthetics engine break-in additive is recommended for all newly built engines! 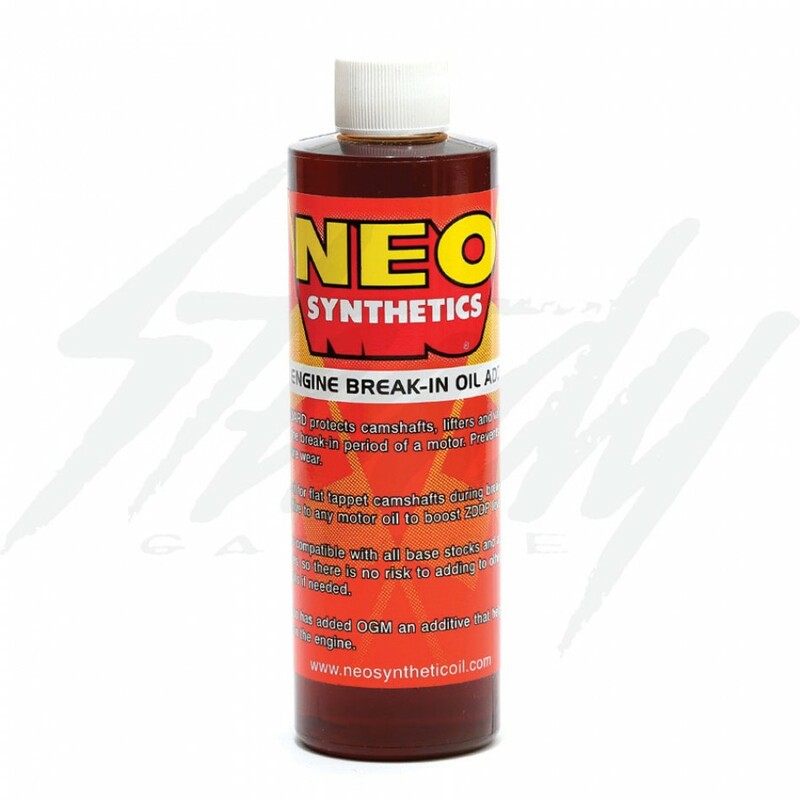 This is the best additives for proper engine break-in, for cars, motorcycle, snow mobiles, and more! NEO Guard protects camshafts, lifters, and valvetrain during the break-in period of a motor. Prevents premature wear. Excellent for flat tappet camshafts during break-in or as an additive to any motor oil to boost ZDDP levels. ZDDP is compatible with all base stocks and additive packages, so there is no risk to adding other brand motor oils if needed. NEO also has added OGM, an additive that helps reduce frictionin the engine.